On September 9, 2015 the world’s most valued brand ‘Apple Inc.’ held a special event to launch new features and products. Along with launching Apple TV, Apple iPencil, Apple iPad pro, the company also launched their most awaited and the flagship product- the iPhone. The new iPhone 6S has some worth noticing features like upgraded performance, vibrant display, better camera and a longer lasting battery. But out of those, one feature was truly revolutionary and ground breaking- the 3D touch! There’s a lot more to be explored in 3D touch, from Virtual reality apps to making quotidian activities like reading more lively. 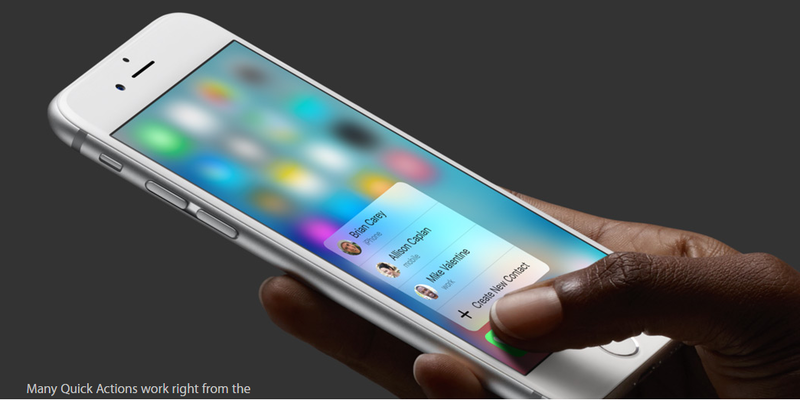 It would be interesting to see Apple’s next move in the area of HCI and 3D touch!